Discussion in 'Announcements' started by Bruthor, Oct 5, 2018. 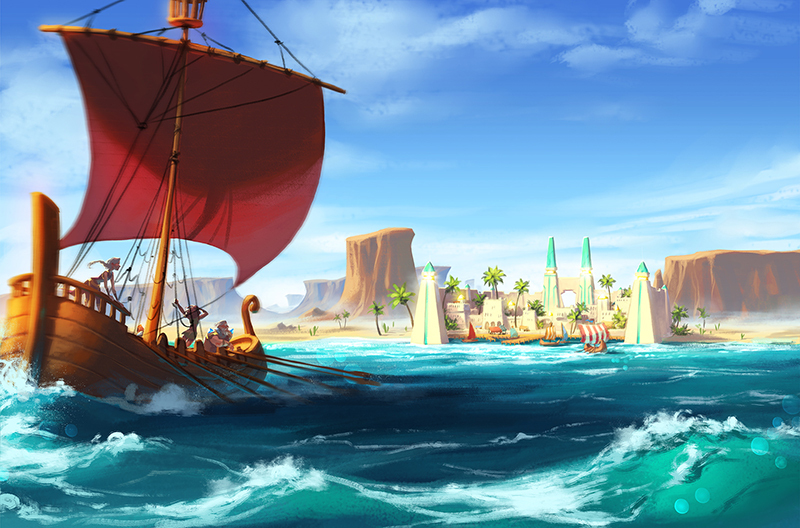 Embark your ships and sail to new shores. The Xatakan Empire is at the horizon! We proudly announce that your favorite game will receive a massive content update this year. We will breathe new life into the southern continent of Aternum. Once a wealthy empire, Xataka fell under the desecrating plague caused by Necromancy. An undead horde will provide new challenges even for the most experienced Warlords. There will be new bosses, new regiments to collect, unique upgrades, new items, new desert-themed battle maps, and also interesting new abilities (some of those inspired by ideas from our lovely community). The new content will be released in several batches. Currently we plan on releasing 5 bigger content updates spanning over several months. Stay tuned for more information about what's to come as we draw closer to the release of the Xatakan Empire. There is one thing you can already do while waiting for this exciting new addition to the game. The southern continent will be replaced with the new Xatakan Empire. If you haven't liberated all shires in that continent yet and you have access to that part of the map, please conquer all provinces as you will keep all rewards when we reset this area! happyhorse74, Moohawk74, Casidy and 26 others like this.